First of all - as Professor De Mattei explains – the totality of the reforms (of apparent facilitation and speeding up) go in the opposite direction from what the Church has always taken. It is a complete overturning of perspective: the defense of the Sacrament is no longer the priority (for the salvation of souls), but primarily the easiness and the speediness of obtaining an annulment. The abolition of the double-sentence is in itself, sufficient [cause] to think this. De Mattei writes: “Cardinal Burke recalled a catastrophic experience. In the United States from July 1971, the so-called Provisional Norms came into effect, which eliminated de facto the obligatory double conforming sentences. The result was that the Episcopal Conference did not negate one single request for dispensation among the hundreds of thousands received, and, in the common perception, this process began to be called “Catholic Divorce”. Then again, Monsignor Pinto, Dean of the Roman Rota and President of the Commission which drew up the Motu Proprio, openly declared the purpose of this reform. He wrote in the “Osservatore Romano” that Pope Bergoglio has asked “the bishops for a true and proper “conversion”, a change in mentality which convinces them to follow the invitation of Christ”. According to Monsignor Pinto “the invitation of Christ, present in their brother, the Bishop of Rome”, would be that of “passing from the restricted number of a few thousand annulments to that immeasurable [number] of unfortunates who might have a declaration of nullity”. That Christ wanted an “immeasurable” number of annulments is completely unheard of. Yet it is now clear that the goal of the Motu Proprio is large-scale divorce - much quicker, cheaper and easier than State divorce (there are already those who are trying to figure out whether divorce is [more] convenient through priests). Up to now, until Benedict XVI, the ecclesiastical tribunals had always been reproached by popes because they were too indulgent in recognizing annulments. 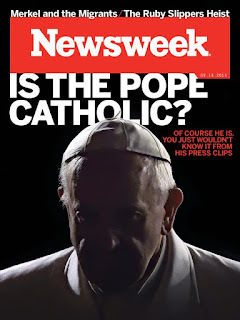 With Bergoglio everything has been overturned, and they are [now] attacked for the opposite reason: large-scale annulment “factories” are to be set up. The Honorable Alessandra Moretti is right then when she says triumphantly that “this epoch-making reform” by the Pope” follows closely the law on quick Divorce which I proposed to the Chamber”. And she underlines “the common vision of the Church and State on this issue”. But there is more. With this Motu Proprio, new reasons for nullity – without any magisterial and theological base – are being formulated, which could overturn de facto the role of the Church Herself: it would no longer be the Church Herself which must verify the original nullity of sacramental marriage in the eyes of God, but [She] risks becoming an entity that de facto “dissolves” sacramentally valid marriages, for today’s invented reasons. 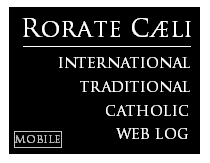 In fact, in the Motu Proprio, de Mattei writes: “The theoretical affirmation of indissolubility of marriage, is accompanied in practice with the right to a declaration of nullity for every failed marriage bond. It will be enough, in conscience, to deem one’s own marriage invalid, in order to have it recognized as null by the Church”. The explosive charge that changes the “Rules of Procedure” is found mainly in article 14 where “ the lack of faith” of the parties is suggested as a possible cause of simulation or error in consent, and hence of the nullity of the marriage. Up to now, lack of faith as cause for the invalidity of a marriage has always been excluded by the Church, who limits Herself in elevating natural marriage to that of a Sacrament. 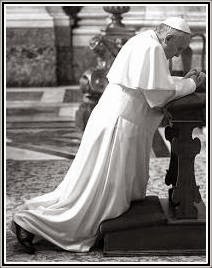 Benedict XVI explained: “The indissoluble pact between a man and woman, does not require the personal faith of the contracting parties for the aims of sacramentality; what is required, as a necessary minimal condition, is the intention to do what the Church does”. That is to say, [to have] the intention of getting married. This is so true that the Church also recognizes mixed marriages as sacramental , even when an atheist spouse or one of another religion is involved: all that is required is the desire for natural marriage. Now everything is being overturned. 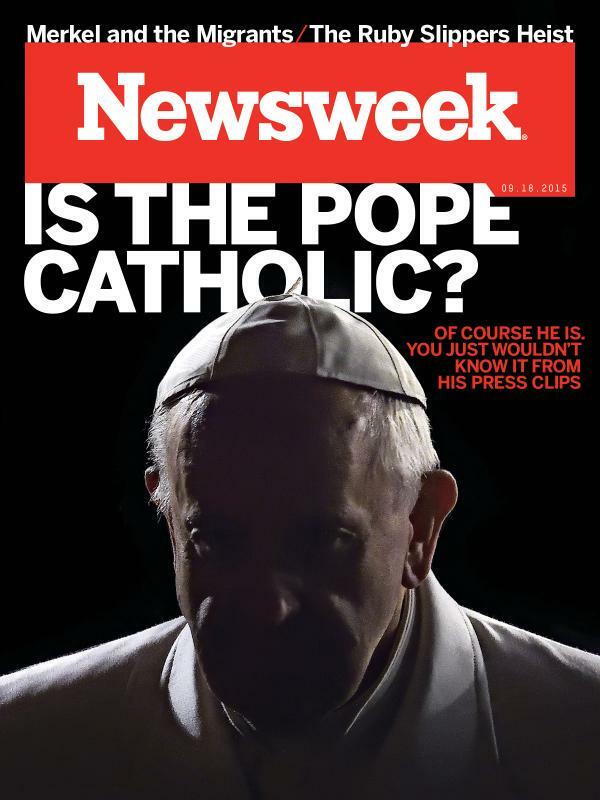 And in conformity with Bergoglio’s style, an ambiguous form is being used to make the Catholic world believe that doctrine has not been changed. On September 9th in [the official newspaper of the Italian Bishops' Conference] “Avvenire”, canon lawyer Paolo Moneta sustained that “lack of faith was not a cause for nullity before and it is not a cause today either”. Yet, at the same time, Monsignor Pinto, in presenting the Motu Proprio, praised “the innovation of Pope Francis’ pontificate “ and spoke of “the sacrament celebrated with no faith” which will bring an “immeasurable” number of annulments “because of evident absence of faith as a bridge to knowledge and thus to the free will [necessary] to give sacramental consent”. This will open the door, without a doubt, for millions of annulments. Millions! Since when did you need to be a saint or have a university degree in theology from the Gregorian to get married? The Church, in order to recognize a sacramental marriage, has always simply asked for the free decision to marry, according to the characteristics of natural marriage. Further, She has always taught that the spiritual disposition of the spouses (their personal holiness) influences the fruits of the sacrament but certainly not its validity. Now everything has changed. And among the circumstances that have opened wide the possibility of a super-fast divorce is “the brevity of conjugal cohabitation” or the fact that the couple were married “because of the woman’s unexpected pregnancy”. And what does that have to do with consent? The unbelievable list actually ends with an “et cetera”. Does it mean that one can amplify at will? What kind of law is this? It will be the weaker parties (the women and children) who will pay the price for this revolution in destabilizing the family, which is already under heavy attack from the secular world. Sister Lucia, the Fatima visionary, one day said to Cardinal Caffarra: “Father, there will come a time when Satan’s decisive battle with Christ will be over marriage and the family”. If this the hour of “the bishop dressed in white” there will be sufferings for everyone (remember the vision of the city in ruins? ).